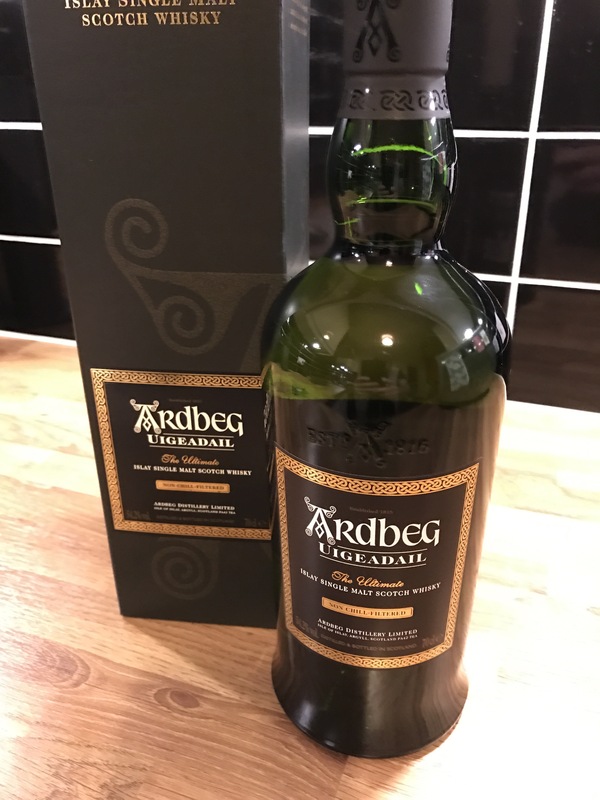 Ardbeg Uigeadail – might have to be a keeper rather than a drinker – or I could buy another bottle and do both! This entry was posted in Whisky by daftmumblings. Bookmark the permalink.